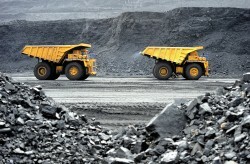 A new study has shed light on mining work health and safety. The Department of Mines and Petroleum (DMP) has announced the results of an extensive study into the safety standards at Western Australian mines between 2000 and 2012. Speaking at the 2013 Mines Safety Roadshow in Geraldton earlier this week, DMP Resources Safety Executive Director Simon Ridge explained that the department had reviewed the circumstances behind 52 mining deaths that had occurred in WA over the past 13 years. Mr Ridge referred to an incident at a Pilbara mine site earlier this year in which a young contractor was killed, despite the site having a “nearly two year fatality-free run”. This provides evidence as to why studies like this one are so important. “It’s for that reason the department carries out such studies, so that from a regulator perspective, we can provide feedback to industry to help stop these incidents from occurring,” said Mr Ridge. The results of the DMP study showed a number of common factors that contributed to many of the recorded mining deaths, and may serve as a timely reminder about the importance of proper mining safety protocols. According to Mr Ridge, nearly half of all fatalities that occurred in WA mines during the aforementioned period were individuals who were either in their first year at the mine site, or taking on a new and unfamiliar role. Meanwhile, 44 per cent of the mining deaths analysed by the DMP involved mining supervisors who were still relatively new to the position, and had not yet completed a full year on the job. These results have been pointed to as an indication that high staff turnover and improper safety training can lead to an increased risk of significant accidents occurring on mine sites. Furthermore, nearly two thirds – 62 per cent – of mining fatalities that occurred in WA between 2000 and 2012 involved a failure to fully comply with onsite procedures. “This drives the point home that we must always apply known precautions to known hazards and, where new tasks, machines or processes are being introduced, detailed hazard analysis and risk assessment should be carried out,” said Mr Ridge.